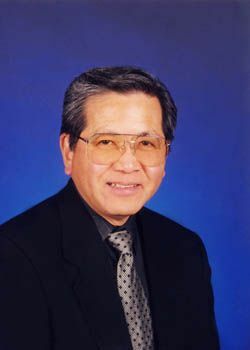 Based just outside of San Diego in Poway, CA, HM Electronics (HME) was founded in 1971 by Harry Miyahira. Like the town it calls home, HME has gained recognition for its ability to maintain a mindful balance between growth and quality of life. Harry Miyahira grew up with a passion for electronics. A ham radio operator at the age of 11, by the time he was a sophomore in high school he held an FCC first-class radio license and worked part-time in broadcasting at KMVI on Maui. While enrolled at Purdue University, he was a fixture at the college radio station. Following graduation, Miyahira worked in space communications for nearly a dozen years before setting out on his own to establish HME. Today, HME's wireless intercoms tirelessly serve the quick service restaurant industry, while its PRO850 and DX200/200C wireless intercoms have become fixtures in the worlds of broadcast, entertainment, and sports. Harry Miyahira: Back in the early '70s, wireless microphones were a specialty item, not a commodity like they are today. I believed that if we got in on the ground floor, we would be the big fish in a little pond, and that turned out to be the case indeed. We wanted to build the best wireless mic at the time, and to that end we launched our first offering in 1975. We quickly captured 65 to 70 percent of the professional market, and that technology went on to ultimately serve as the foundation of our wireless professional intercom systems today. SCN: HME introduced the UHF PRO850 intercom system in 2003, and the 2.4 GHz DX200 digital wireless intercom in 2004. You hold about 30 patents on various designs, and your products are marketed and serviced in over 80 countries worldwide. How would you define the core values that have fueled this growth? HM: Above all, I believe that coming to work should be both challenging and fun. Making a lot of money and becoming big wasn't, and still isn't, the priority. As it turns out, however, becoming financially successful is a natural outgrowth of any endeavor that people truly enjoy doing. SCN: HME is very caring and appreciative of its employees, and it's a democratic place. Must be one of the reasons the San Diego Business Journal voted it one of the best places to work in 2006. Does this same level of cooperation extend to sharing your parking space out front?